Fort Santa Isabel, one of the most historically significant Spanish-era buildings in the Philippines is set to be restored. 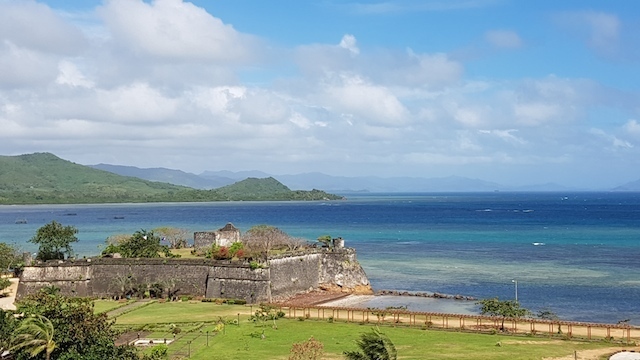 Beginning next month, the fort in northern Palawan’s Taytay Town will be transformed into a centrepiece for the local tourism industry. Work on the 350-year-old fort will be overseen by the National Historical Commission to ensure the quality and authenticity of the restoration. The local government has allotted 4.5 million pesos for the scheme, which has been dubbed the ‘Estrella Del Norte Heritage Development Project’. The programme will eventually lead to the establishment of a Fort Santa Isabel Heritage District, complete with museum. The restoration work will begin with the fort’s chapel and is expected to be completed by May next year. In a statement, Taytay Mayor Romy Salvame said the restoration signalled “the revival and rebirth of one of the most significant fortresses of the Spanish empire in the Philippines”. Also known as Fuerza de Santa Isabel, the fort was originally built as a wooden palisade in 1667 under the Augustinian Recollect Fathers and named in honour of Spain’s Queen Isabel II. The present-day coral limestone fort was completed in 1738, and was used to defend against Muslim warrior-raiders. Taytay’s history can be traced back to pre-Hispanic times when it was a kingdom ruled by an indigenous monarch. It was formally founded in 1623 during the Spanish colonial era. In 1818, Taytay became the capital of the province of Calamianes, the entire territory of Paragua, now known as Palawan. It was declared in 1858 as the capital of the province of Castilla, a land area occupying the northern part of Palawan. The post Restored Fort Santa Isabel to be at heart of new heritage district appeared first on Philippines Lifestyle News.